A fine convent chapel by William A. Scott, who also designed the townhall in Enniskillen. 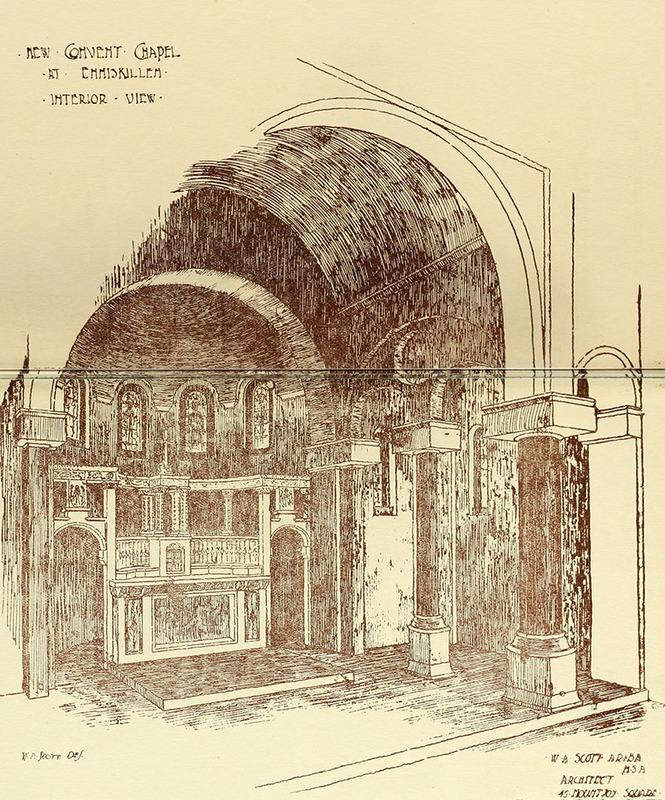 Described as being in the Byzantine style internally, with a plainer Romanesque interior. Built on buttresses on the river side of the building. Allegedly Scott was asked to design the interior in a style that would reflect as past where the Norman invasion never happened. There are fine stained glass windows by Michael Healy and marble reredoes by William Malone.